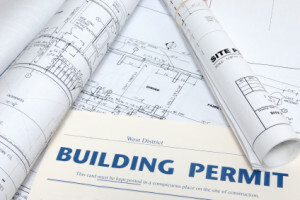 Understanding the difference between commercial and residential zoning is important if you are starting your own business as well as if you are looking for a place to live. Zoning laws can greatly affect your general well-being along with your income. This is particularly true if you hope to start a business out of your home. Any community must be able to support multiple businesses in order to thrive. Business zoning, also known as commercial zoning, states precisely whether or not businesses can operate in any given area. Zoning laws are chiefly put in place to keep businesses from operating in areas where people live. Heavy traffic as well as high levels electricity and sewage use brought in by commercial developments may be unattractive to homeowners. An area that is zoned for residential use cannot be used for business purposes. This keeps traffic levels lower and is arguably safer for homeowners. Because commercially zoned areas are generally not forced to adhere to the same safety standards as residential properties, residences are safer for day-to-day living as well, according to Real Estate Lawyers. According to the US Small Business Administration and the United States Census Bureau, about 50 percent of homes in the US operate a home-based business of some type. Luckily, a residential area does not have to be zoned for business for many of these. If you are operating a web-based business, it is likely that you can operate from anywhere. This is also true if you do not manufacture large quantities or invite customers into your home. However, different communities have different standards, so you will need to check with your local planning commission. The easiest way to find out of if your area is zoned for business or residential use is to contact your local planning commission. You may be able to find a map online that gives you immediate answers. Otherwise, call your city or county government office and they should either be able to direct you to the right location or give you the information immediately. Some areas are also multi-zoned, which your planning commission can explain. This simply means that the area can be used for both business and residential needs. This can be great if you are hoping to start your own business, but may not be so good if you are hoping to ensure that your home will not be next to a strip mall or car wash. It is vital to understand zoning laws in your community before starting a small business of any kind. Even if you don’t believe it is necessary, it is still wise to find out exactly how you are zoned. It is also very important to know if the home you have chosen is multi-zoned, which can drastically change the landscape of a community if a developer chooses to move in. The difference between commercial and residential zoning can make a big difference when choosing your home or business.